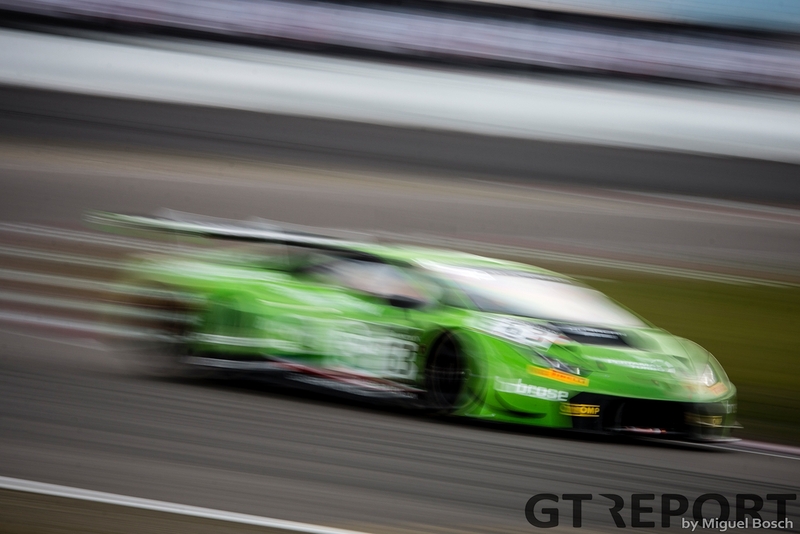 The last men standing at the Blancpain GT Series Sprint Cup finale were Robin Frijns and Stuart Leonard. 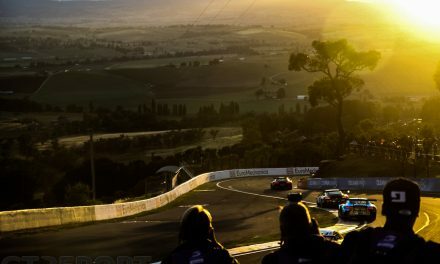 In a weekend where many of their competitors had bad luck befall them, the WRT Audi R8 LMS GT3 racers rose to the top in the waning moments of the season to lay claim to the crown. On Saturday evening there are only five left. 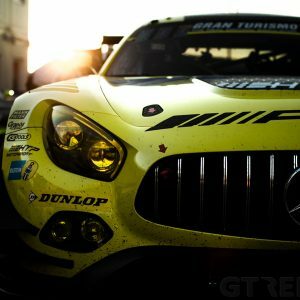 The fiercely contested Blancpain GT Series Sprint Cup qualifying race at the Nürburgring has left some title contenders behind, and moved on with race winners Maximilian Buhk and Franck Perera in the HTP Motorsport Mercedes-AMG GT3 extending their slight lead by a couple more points going into the final race of the season. 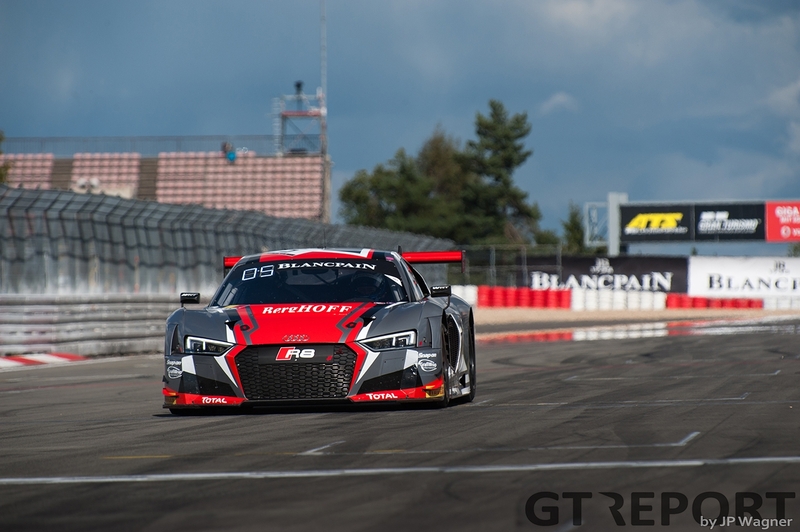 A trio of WRT Audi R8 LMS GT3s and lone Grasser Racing Lamborghini Huracán GT3 of Mirko Bortolotti and Christian Engelhart aren’t far behind, separated by no more than twelve points. Sunday’s race will be a winner-takes-all. Bortolotti and Engelhart, however, have had a miserable weekend so far. 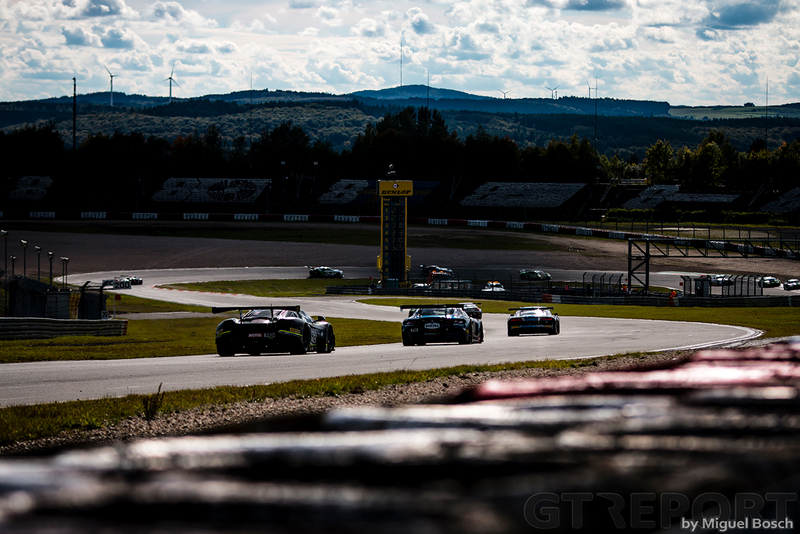 Trailing Buhk and Perera by just a few points when they arrived in the Eifel, it unraveled when during qualifying the Lambo team was caught out twice by red flags and then spun at the start of the first race, leaving the overall Blancpain GT championship leaders practically chanceless for the Sprint Cup. 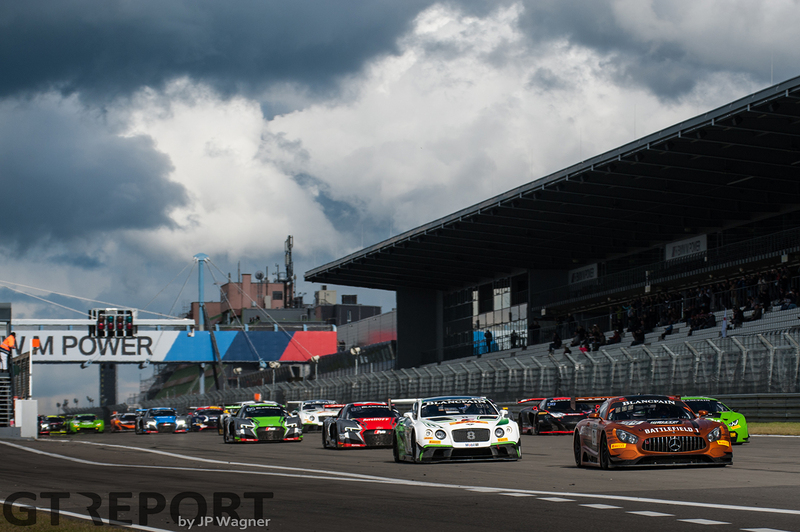 From there on it only got worse for Grasser Racing as HTP rode to victory after the sister Grasser Lamborghini of Ezequiel Pérez Companc and Andrea Caldarelli was awarded a controversial 1-second time penalty for cutting the chicane while battling for the lead with the M-Sport Bentley Continental GT3 of Maxim Soulet and Andy Soucek. Come Sunday afternoon the real title fight is between Mercedes-AMG squad HTP and Audi powerhouse WRT in an almost unfair three against one brawl. The upside for Buhk and Perera: having won the race on Saturday, it’s the German-French duo on pole position when the lights go out. After the storm of the openings laps has settled down, the first 30 minutes are remarkably calm. 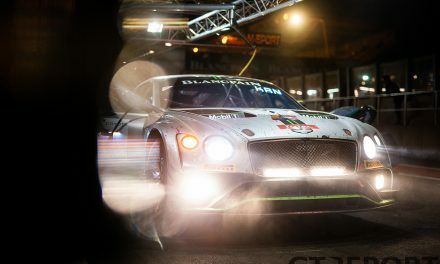 Another controversial penalty, this time for the second-placed Bentley of Soulet and Soucek, takes the British battleship out of contention for the race win and elevates WRT pilots and title contenders Marcel Fässler and Will Stevens into second and third. Other than that, all is quiet at the front. 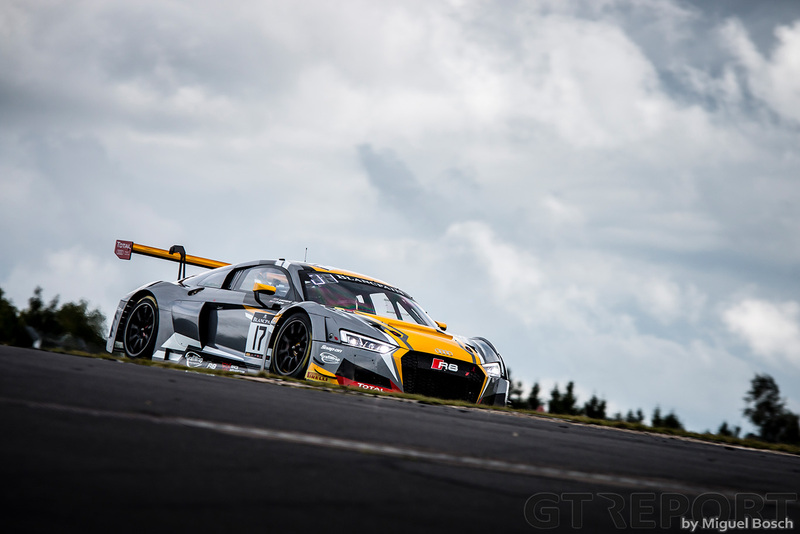 Stuart Leonard, racing the WRT Audi with Robin Frijns, isn’t even on the radar for the title. Instead, the Englishman finds himself in seventh place and struggling to defend from a train of cars that smell blood as the Audi driver is unable to shake them off. For the moment, there are no illusions in the number 17’s garage of going for the championship. 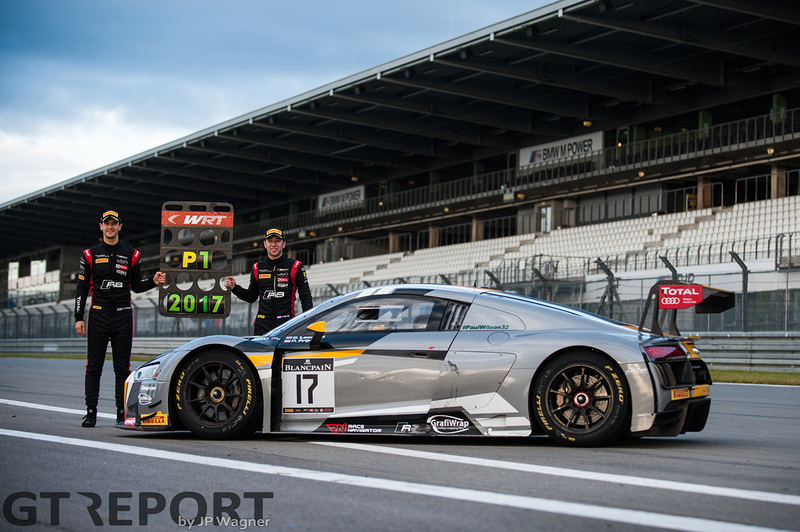 As soon as the pit window opens Dries Vanthoor walks out into pitlane, helmet fastened and ready to help Fässler out and strap himself into the red-grey R8. Pitstops are practiced to perfection at WRT—what could possibly go wrong? But misfortune always visits when you need it the least. In the hectic of the pitstop where every second and every tenth counts, the air hose gets tangled around the Audi’s rear wing. When Vanthoor launches himself into the race, one of his mechanics is pulled to the ground. HTP watches as it happens. Perera hasn’t come in yet, staying out a little while longer. The pressure is on when the Frenchman arrives to hand the AMG GT3 over to Maximilian Buhk. It’s HTP’s lead to lose and that’s what happens when in the heat of the moment the left front tyre isn’t screwed on properly and needs a quick reattachment, adding several seconds to the pitstop. The time lost is enough for Buhk to come out of the pits looking at the back of Vanthoor’s Audi. As it stands, Vanthoor and Fässler take the Sprint Cup, but there’s hope for Buhk and Perera: safety in pitlane is paramount and hitting equipment is punished with a drive-through penalty—the stewards will look into WRT’s pitstop. Buhk will never take the spoils of the looming penalty, however. Going into the final 20 minutes, the AMG works driver finds himself plowing through the gravel coming onto the start-finish straight. 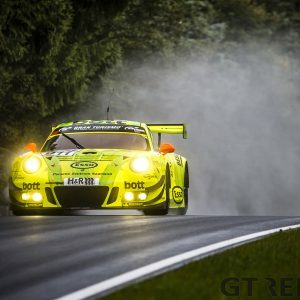 When he returns to the tarmac, he feels the broken wheel and retires the matt-green AMG trackside. The game is on for Robin Frijns. He’s worked his way up to third and prepares for the intra-team battle for the championship with Winkelhock. He saw the HTP AMG retire and knows Vanthoor’s penalty is imminent. The title is closer than it ever has been. Lap after lap Frijns observes Winkelhock, searching for that one weakness to take the German down with. Then he notices: Winkelhock slows down for the first turn a little uneased, a sign that he’s starting to struggle with his brakes. Over the radio the team asks Frijns to be careful if he’s going to attempt an overtake, knowing fully well they can’t stop their driver from attacking anyway. HTP might be out, in points they’re still ahead. And just when WRT is informed by race control of Vanthoor’s penalty, Frijns strikes. The Dutchman brakes into the first corner and suddenly appears in the corner of Winkelhock’s eyes. 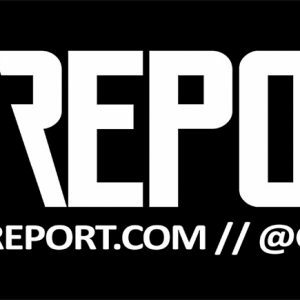 There’s no contact, no maliciousness—it’s a stern but safe move into second place. Earlier it all came undone for Buhk and Perera, now it’s Vanthoor and Fässler’s turn. The long drive through the pitlane costs Vanthoor a heap of places, too far away from any big points scoring position. 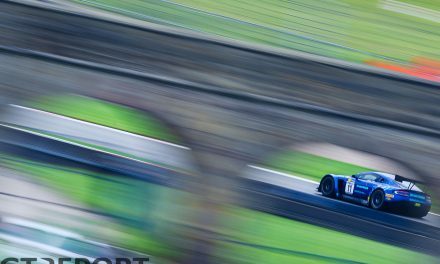 At or near the top of the charts for much of the weekend, Vanthoor for the first time drops out of the top 10 and out of contention for the title. From seventh to first. Out of most people’s sights after the qualifying race, Frijns is now on his way to his and Leonard’s first Sprint Cup championship. 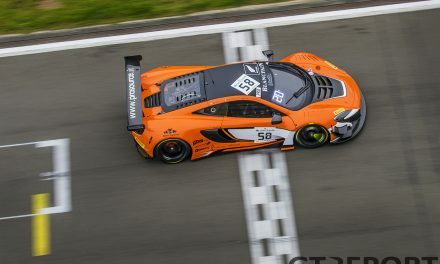 To prove the point that he’s worthy of the title despite many title contenders running into problems, Frijns is in undisputed control of the remainder of the race, driving several seconds away from the rest of the field and taking the chequered flag and with it the Blancpain GT Series Sprint Cup trophy. The title that eluded him two years ago, is finally his. Smiling and disillusioned faces throughout the WRT pitbox. Some smile because they’re champions, others can’t believe how they lost it when the title was within reach. But Vincent Vosse smiles: his team adds another Blancpain GT title.